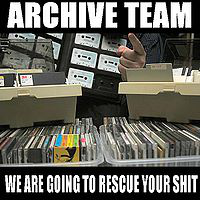 One of the prime motivations behind Web Archives for Historians is our consciousness of how quickly the web changes and decays, and of the particular shape this gives to the archived web with which historians will need to work. However, just how this happens is not very well documented, and so I draw attention here to some introductory resources about the problem. after the first year of publishing, nearly 11% of shared resources will be lost and after that we will continue to lose 0.02% per day. Taking a different approach, using ten year’s worth of archived content in the UK Web Archive, the British Library’s technical lead Andy Jackson took a sampling approach to plot not only the rate of disappearance of content, but also the degree to which it had changed between 2004 and 2014. Readers may be interested in both the methods Andy used, and some important caveats about how the selection of content in the archive may have influenced the trends. But, the headline is that the fraction of content that is both still online and unchanged after those ten years is so small it hardly be seen on the graph. Even for content that was archived only a year before, the proportion that is live and unchanged is less than 10%. In their different ways, both studies point to the same issue: that the live web changes and disappears very quickly. Historians need both to grasp how it happens, as well as to begin to think about what kind of archive this leaves us with. Web archives have arrived, at least in the pages of high-profile publications such as the Washington Post and the New Yorker. An especially fascinating exchange took place in mid-February. Gareth Millward, a research fellow in the Centre for History in Public Health at the London School of Hygiene and Tropical Medicine, published “I tried to use the Internet to do historical research. It was nearly impossible” with the Washington Post. In it, he explained the difficulties of navigating extremely large web archives: search queries returned useless results, not sorted in an ideal fashion (or at all), and that instead historians may need to find smaller circumscribed corpuses or explore metadata. The response by Andy Jackson, Web Archiving Technical Lead at the British Library, on the British Library’s Web Archive blog was equally illuminating. His piece, “Building a ‘Historical Search Engine’ is No Easy Thing,” is a must-read. He pointed out the different use cases that historians have: simply replicating Google (which excels at letting us know what we need to know in an extremely contemporary context) won’t make sense when querying large bodies of web archived material. He walks us through the various steps of the search engine, and concludes by arguing that we need to think of Macroscopes rather than of search engines (sidenote: having just finished copyedits on a co-authored book subtitled The Historian’s Macroscope, I’m inclined to agree with this metaphor!). These two pieces join a third high-profile piece, “The Cobweb: Can the Internet be Archived?” by Harvard historian Jill Lepore. 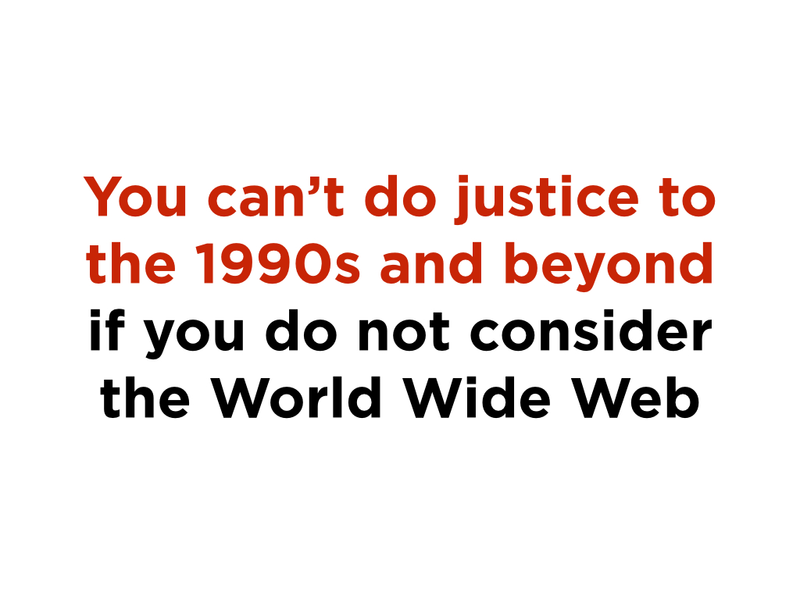 This was a fascinating exploration of the current state and recent history of web archiving, and is well worth your time.